A multi-million dollar renovation at Fairmont Royal Pavilion has dramatically changed the hotel's guest rooms and raised the bar for luxury hospitality in Barbados. 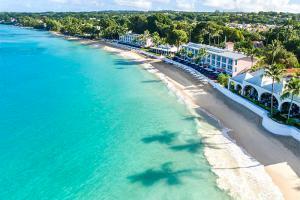 In November 2017 the restoration, designed to significantly enhance the facilities of the Fairmont Royal Pavilion, Barbados was completed with the unveiling of newly restored guest rooms - all which are directly beachfront. Boasting the ultimate location on the island's Platinum coast, Fairmont Royal Pavilion is setting new standards of ultra-luxury in the Caribbean and beyond, retaining a sense of serene seclusion with a unique beachfront position unlike any other resorts on the island. Located just 12 miles from the Grantley Adams International Airport, east of Bridgetown, near Christ Church.